Most people forget about the existence of the septic tank once it gets installed underground. Consequently only when it starts giving problems do house owners sit up and take notice. 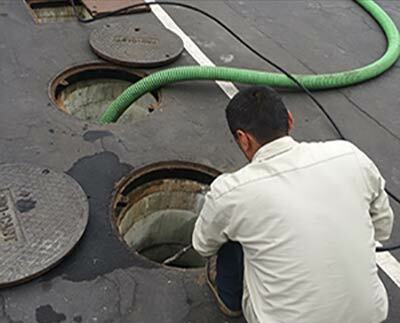 But the hassles involved in getting a problem solved is much more than in not allowing them to happen or taking care of the same in its nascent stage.Septic Tank Inspection should be done a regular basis. Protect the homeowner from having to incur high costs in the repair or replacement of the same like failed or clogged drain fields. The main work of the septic system is to accept liquid and solid wastes from a household through unclogged pipes and disposing of these contaminants in the best way possible so that they do not pollute the surroundings in any way. It is to ensure that this job gets done to the satisfaction of the homeowner that the septic system needs to be professionally inspected. The inspection of the septic system, by itself, is a dangerous job. Thus even professionals should give it its due caution and tread with care especially if the structure of the septic system has become weak from wear and tear over a period of time or it has become unstable due to rusting metals etc. The presence of noxious fumes can also cause an inspector to asphyxiate if he is not careful. Details about the location of the system, its age, capacity, and its design. The possibilities of the site getting flooded. The details of the last pumping that was carried out. The layout and condition of the installed plumbing fixtures since this has a direct bearing on the amount of wastewater and sewage that goes into the septic tank; hence any changes were done since its original installation need to be duly noted. Components that are added to the septic system and which could have a bearing on the health of the system like water softeners, chemicals, detergents, etc. Clog the soil present just beneath the soil surface. Checking for cracks in the pipes, drains and the septic tank itself so that repair and replacement can be carried out as and when required and also to prevent leakage. Inspection of drains and pipes entering and exiting the septic tank to check for blockages and any signs of clogging which might hamper its steady flow. Biological additives like bacteria, yeast, and enzymes. Result in the contamination of groundwater. Addition of biological additives is generally not needed since micro-organisms like bacteria are already present in the sewage entering the septic tank. It is always better to ensure that the septic system is inspected at least once a year. This not only helps the homeowner to ensure that the septic system is in perfect condition but also enables him to be sure of the amount of sludge that has got accumulated and schedule a pumping based on the same. Thus it is necessary to carry out an annual inspection by professionals with sincere regularity so as to ensure the longevity of the septic system which is by far the most expensive thing installed in a house.